On 14th April 2013, Daniel Graham and his twin brother Jake took their first steps into an adventure of a lifetime: a 3000 kilometre walk through Western Europe. 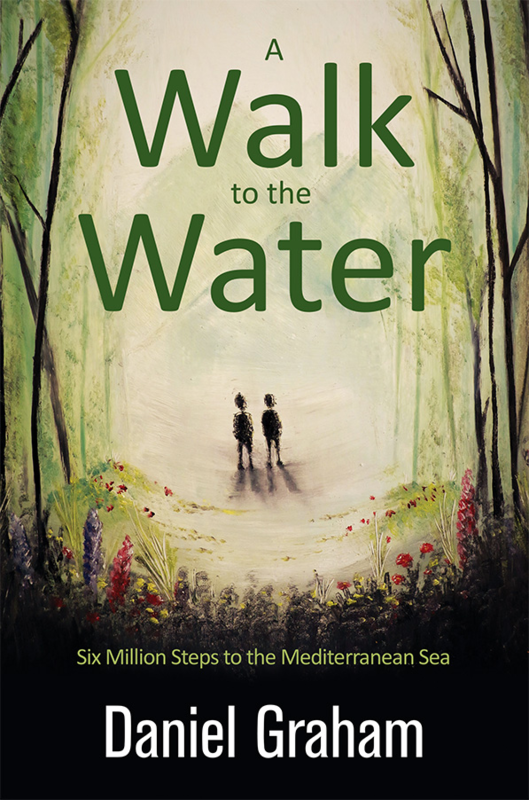 Beginning in the comfort of their home in Bristol, A Walk to the Water is a first-hand account of their breath-taking hike – a story of both geographical and human nature. We follow the pair across bucolic English pastures, skirting the farmlands of Belgium, the Netherlands and Luxembourg, taking pathways onto the plunging valleys of the Vosges Mountains and Jura Range gorges, and fringing the enchanting French Alps, the gateway to their final destination; the Mediterranean Sea. For lovers of intrepid travel, this is the ultimate read for the road. Daniel’s closely-felt first person narrative binds us to the path the brothers take. They learn the value of nature’s simple magic – alpine wild flowers, the taste of asparagus pulled straight from the earth, the swims in the glacial tarns of the French Alps. Through the tough parts of the five-month stretch, they battle through sickness and unending rains, and stumble across the kindness of strangers – forging doubt and deeply felt connections and companionships, as we tread the path of their emotions through unrelenting determination against the odds. Whether you’re reading it by plane, train or at home, A Walk to the Water is fresh off the shelf, ready to ignite your imagination and inspire you to book your next trip. Get your walking shoes out. Buy A Walk to the Water here. More about Daniel Graham here. I am 3/4 through this book and purposely reading it slowing (despite never wanting to put it down!) as I don’t want it to end! At first I thought I was biased about how good this book is but I have heard so many positive things about it from other people that I think it just is really good!! Brilliantly written, I’ve laughed out loud and cried many times already! Would highly recommend A Walk to the Water!